BIM 101: What is Building Information Modeling? However, BIM is far from self-explanatory. It’s a rather complex concept that leaves people with a lot of questions. What is BIM? What can BIM do? How does BIM work? Each question has multiple answers, which opens the possibility for a wide range of misconceptions. This can create a barrier for those trying to adopt BIM. Let’s see if we can clear the air on these misconceptions and answer some of these questions about BIM. 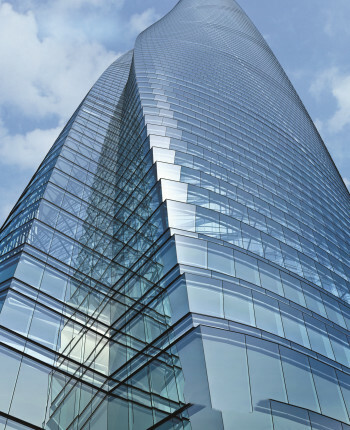 So what is building information modeling, anyway? This may come as a surprise, but BIM isn’t new. It first appeared as early as 1962, when Douglas Engelbart wrote his paper “Augmenting Human Intellect: A Conceptual Framework” and described architect entering specifications and data into a building design and watching a structure take shape—a concept very similar to modern parametric modeling. The term “BIM” was first used back in the ‘90s, but the recession put a damper on its early stages. It picked back up after the recession and has really taken off in recent years. Because it was a bit of a late bloomer, BIM might seem like a brand-new and scary thing for dedicated CAD users—but the shift from CAD to BIM has been a long time coming. What Can You Do with BIM? At its core, BIM is 3D design and modeling software with a twist. 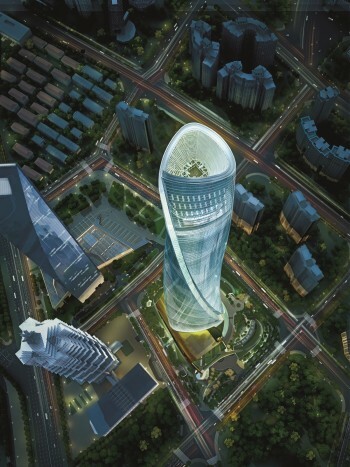 For Gensler, an international architectural design firm with projects like the Shanghai Tower under its belt, BIM is the way to go. That particular project met with several tight restrictions during the design process, all of which necessitated the ability to design and analyze different systems quickly and efficiently. What was the answer? Well, for Gensler, the solution was building information modeling. The firm promotes the use of BIM among its clientele, emphasizing that BIM is useful for the entire built environment, but occasionally it meets with difficulty when a client isn’t familiar with the concept. “If we think about it in terms of model-based design and a work process, then we start to see the possibilities,” Stark continued. This sounds easy enough, but definitions of BIM aren’t always so straightforward. The best way to begin understanding BIM is to look at what the industry has to say about it. However, not all definitions are the same. Autodesk is a maker of popular BIM software platforms such as Revit and AutoCAD Civil 3D. “BIM is an intelligent model-based process that helps make design, engineering, project and operational information accurate, accessible and actionable for buildings and infrastructure,” according to Bond, PR manager for AEC and infrastructure at Autodesk. This data is key for a building information modeling project. After all, that is what the “I” in BIM stands for. Having high levels of data in a model keeps everyone on the project team on the same page, which can help with all stages of the project from conception to construction documentation and maintenance. GRAPHISOFT is the maker of ArchiCAD, one of the first BIM software platforms to hit the market. When asked to define BIM, Mary Moscarello, a media relations consultant at GRAPHISOFT, had a very different take compared to Autodesk’s information-centric perspective. Just like information, the model is crucial to the overall BIM process. It sets the stage for the overall project, contains all of the virtual equivalents to the building’s parts and pieces and invokes the practical applications of these pieces. Bentley Systems makes modeling and project delivery software such as AECOsim Building Designer and ProjectWise. According to Harry Vitelli, the company’s senior vice president of construction and field project delivery, Bentley takes a different approach to BIM altogether. Although Bentley discussed the aspects of information and modeling, the focus in this company is on the process involved in BIM. This process, which works concurrently with the technological aspects of BIM, stays behind the scenes to keep everything working smoothly between project teams. You may have noticed that each of these definitions leans toward one aspect of BIM. These companies clearly have distinct views and with distinctions like this, it can be difficult for users to dig down to the true meaning of BIM. Just about every source, including industry leaders, has its own definition of BIM, which can leave users with a slew of misconceptions. Let’s have a look at some of these misconceptions to unpack what BIM really is. Misconception 1: BIM is just for architects. 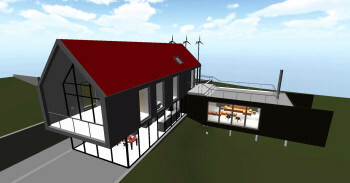 “One misconception of BIM is that it’s just for architects,” said Stark. This is one of the most common misconceptions when it comes to BIM and quite frankly, it was something I struggled with at first. As with CAD, it’s easy to assume that BIM is just used for the skyscrapers you see when you drive through the city—but it could well have designed the road you’re driving on. The fallacy that BIM is just for architects stems from the simple fact that the construction and architecture industries were among the first to adopt the process. However, it may have started somewhere else entirely. “BIM is for everyone,” Concannon added. There you have it—BIM is not just for architects. Misconception 2: BIM is just a design tool. While the technical core of BIM is its 3D modeling and information management software, it’s not just fancy CAD. The software is very similar, but it’s important to make a distinction. “For me, the most important part of BIM is the ‘I’—the information aspect,” Concannon commented. BIM is all about the information. It doesn’t just create a visually appealing 3D model of your building—it creates numerous layers of metadata and renders them within a collaborative workflow. It’s perfectly possible to create a 3D CAD model with BIM software by leaving out the metadata and collaboration practices, but you cannot create a proper BIM model without 3D CAD software. So why do we equate BIM with software? Software is how BIM is promoted. After all, you can’t sell a workflow—it’s up to the user to establish that. 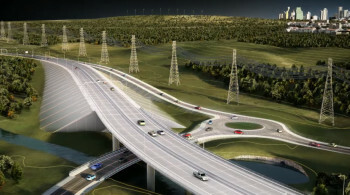 The BIM process requires the use of one coherent set of computer-generated models and the easiest way to do this is with one type of software that everyone uses to access the same project. To create a proper BIM model, you must be able to federate or combine all of these layers of information for various building systems into a single “master” model. This is most easily achieved by standardizing the software used by team members to consolidate all the relevant information, which is a key principle of BIM. Misconception 3: BIM comes in a box. Maybe you thought you could stroll into a reseller and pick up a copy of BIM. Easy as pie, right? The trouble with this idea is that although BIM is technically software, that is by no means all it is. BIM isn’t just a design tool; you can buy BIM software and start using it to make drawings, but that alone does not make it BIM. Restructuring workflows is an essential part of BIM. In order to implement it properly, you’ll need the desire and the commitment to change how you and your team members work. Adjusting to the new system won’t be easy at first, but it will be worth it in the long run. Take a look at Gensler. When the company began to implement BIM, Concannon had a key role. “When I joined Gensler about eight years ago, I came on to take the BIM process from what was initially a grassroots project in a couple of offices to a process that we would roll out across the firm,” Concannon explained. Nowadays, every office of Gensler uses BIM to some degree. Even when it isn’t specifically requested by a client, the architecture firm likes to use BIM to help with the design process. Concannon later became the BIM manager for the architecture firm’s role in the Shanghai Tower project. “As it related to the Shanghai Tower, there were some key uses of BIM beyond what would be considered the traditional use of BIM,” Concannon explained. A previous article discussed the geometric aspect of designing the tower’s complex outer curtain, but BIM was used for quite a bit more than that. The tower’s elevator and staircase system lies at its core. It was necessary to develop this system in a BIM model, according to Concannon, because its complexity mandated multiple approaches. 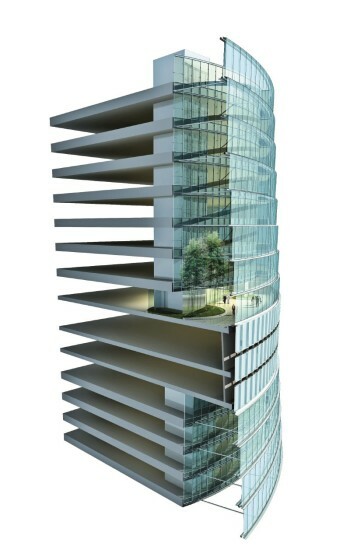 “Because it was three-dimensional, we were able to see where all of our clearances were and very quickly go through many iterations of optimal ways to do what is really a very complicated elevatoring system for a building that tall to reduce it to as tight a core as possible to be as efficient as possible,” said Concannon. “We used the power of building information modeling to be able to look at [issues] in a collaborative form so that the different engineering groups that were part of the project were all able to contribute and see the impact of one system against another,” Concannon explained. We’ve explored the industry’s views of BIM and the various approaches to this collaborative platform. We’ve discussed common misconceptions and how exactly they are incorrect. 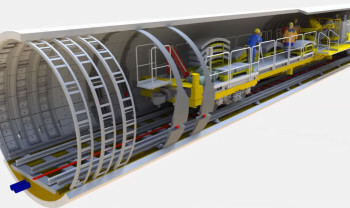 We’ve seen how BIM can help a company with a project. This leaves us with a fairly solid understanding of what BIM is and what it isn’t, so we can come up with an essential definition. Let’s go over the components of BIM to unpack its real meaning. BIM is a process that involves the act of building something together, whether it relates to architecture, infrastructure, civil engineering, landscaping or other large-scale projects. Every project comes with a staggering amount of information, from prices to performance ratings and predicted lifetimes. It tells your project’s life story long before the ground is ever broken and it will help track potential issues throughout your project’s lifetime. BIM is a way to bring all of these details into one place so it’s easy to keep track of everything. In BIM, every project is built twice—once in a virtual environment to make sure that everything is just right and once in a real environment to bring the project to life. This step is the overview of every other aspect of the building and its information. It provides the measure or standard for the building project—an analogy or smaller-scale representation of the final appearance and effect. It will continue to model this representation throughout the building’s lifespan. “We look at the full life-cycle of the building, not just as a design tool but in how it can impact the construction process, how it can impact the management of the building and how it can help inform an owner of the space beyond our involvement in the design process,” said Concannon. This model can become a tool for the building owner’s reference long after construction is completed, helping to inform maintenance and other decisions. It’s also the step that will help to sell a concept while condensing all of those other layers of information that show the building’s every detail. The Bottom Line: What is BIM? BIM is both a best-practice process and 3D modeling software. By using it, designers can create a shared buildingproject with integrated information in a format that models both the structure and the entire timeline of the project from inception to eventual demolition. It enables architects and engineers alike to work on a single project from anywhere in the world. It condenses a plethora of information about every detail into a workable format. It facilitates testing and analysis during the design phase to find the best answer to a problem. It makes for easier design, simpler coordination between team members and easier structure maintenance across the entire built environment—and this is just the beginning.